Lauren and Mickey came roaring through the in-gate to start off their first round over fences. Dev told them to trot around the arena first before starting the round, but Mickey had different ideas. He came prancing and dancing down the line toward the first fence and just flowed on from there. He cleared all the fences handily although it did look like he and Lauren struggled initially to get the communication going. End of the first round, he was clear over all the jumps and off to the jump off. They were two fences from winning when I saw Lauren appear to go sideways in the saddle. Then it became obvious her saddle was slipping. One fence shy of the finish line, Lauren hopped off before the saddle flipped over. With all the weight fluctuations, it has been difficult to gage Mickey’s exact size. Did he need the 46 or 48 inch girth with his new size? Lauren went with the 48 but it just wasn’t cranked tight enough once they got going. She is lucky to have escaped a little embarrassed but no worse for wear. She still pulled a second place ribbon for the class. In their second class, with the saddle newly placed and cinched tightly, Mickey and Lauren were in it to win it. And they did. No other rider came close to their jump off time and they left with the blue ribbon. Tomorrow will be a new day, the fences will be higher as they work toward the weekend. I think Mickey is doing great. Lauren seems to have a good feel for him. Best part-not a single cough all day! Lauren entered the show ring for her first time in the spring of 1999. She was riding the small Shetland pony pictured above named Buckwheat. As you can see from the picture it was not a classic horse show outfit but one hastily put together from what we had and what we were able to borrow. Prior to my divorce, Ally had been taking riding lessons a prestigious hunter/jumper barn in Melbourne, Florida. After the divorce, we did not have the money to continue training at that barn. Instead, so that we all could ride I had purchased my first Florida horse, a beautiful black Thoroughbred cross mare named Silver. I never knew why she was called that. Her papers went back to Man O’War so that was good enough for me. We kept her at a county park which had boarding facilities. Both Ally and Lauren started taking lessons with the resident trainer, Renee. As a county facility this was not where the big hunter/jumper riders boarded their horses, but it had inexpensive stalls, multiple arenas, miles of trails to ride and cross-section of clientele. When the first horse show was scheduled that spring, we got caught up in the excitement and both girls wanted to take part. Trainer Renee said young Lauren could use her pony. Now take a good look at the picture. One stirrup is literally tied on with hay string. Lauren’s jacket is miles too big. True horse show buffs out there know she did not have on the right riding pants, she wasn’t sporting jodhpurs or the required garters. Her helmet was too big and her hair was a mess. These all could be deductions from the judge’s score card. Lauren got ready to go in the ring that day, to do a “walk only” class, meaning, all she had to do was walk her pony around, change directions when asked and line-up to be judged. Actually, that is a lot for a young rider and it takes a good and patient pony to not go too fast (child falls off) or too slow (doesn’t move) neither of which will earn the blue ribbon. Jordyn is not ready for a “walk only” class yet-or I don’t have the right pony so Lauren, at age six, was doing well. As she entered the ring, I spotted Ally’s old trainer, Richard, from the high-dollar barn, sending three riders into the ring on little, fancy Welsh ponies. They were all dressed appropriately, had ribbons in their hair, new tack and jackets that fit. I figured Lauren was going to be a little disappointed with the outcome of the class. The group was put through their paces. Lauren had her “game face” on and was working hard to execute exactly what the judge asked the group to do. The high-dollar ponies seemed a little more excitable and their little riders were having some issues getting them to stop, turn or just walk on. The placings were announced and Lauren won the class. It was her first horse show and very first blue ribbon. She had beaten all of Richard’s riders. Ally and I also rode that day. We all had fun, picked up some ribbons and caught the show bug. We all wanted to do more. The best part of the day was when the trainer, Richard, came and asked if he could buy Lauren’s ride of the day, Buckwheat. He told me he had cash, right now, sell the pony and he would take it home. Obviously, he wasn’t my pony to sell and Renee wasn’t interested. I was amazed at his offer. 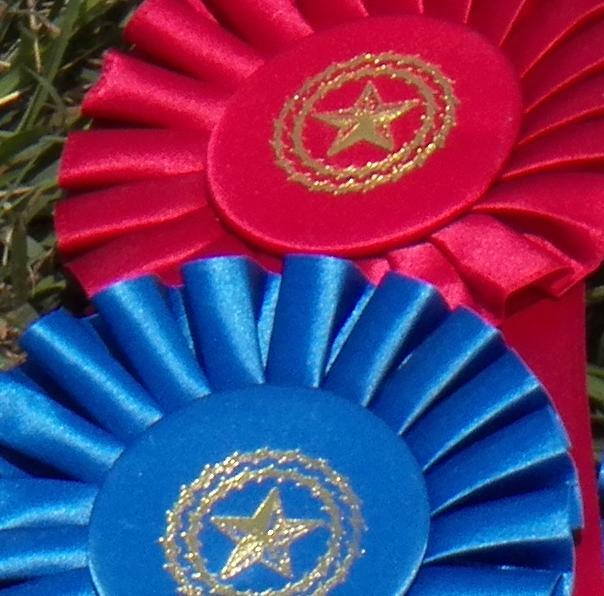 I guess Richard’s ponies were not earning the ribbons and Lauren’s pony did. He must have figured he could clip and braid and make Buckwheat into a fancy pony. At least one guaranteed to win for his demanding clients. Since that day, Lauren and I have been in the same situation where we brought our horses to compete with well-bred “fancy” horses. We have gotten better tack, learned to dress the part and tried to understand the rules of what the judge is looking for in each class. We have never boarded at the prestigious barn. My little place in Wharton is not in anyone’s category of fancy. But it has worked for us. Pretty well, in fact. Tomorrow, after a five month hiatus, Lauren and Mickey will be back in the show ring. I don’t know what will happen, if the little bay horse has recovered his health enough to be competitive with “fancy” horses. But I got to tell you my money is on that same determined little girl who entered the ring and won a walk class on a pony named Buckwheat a long time ago. I will miss you, little one. I started out Friday afternoon not with some much needed time off but meeting Lauren at the orthopedic surgeon where she had taken my mother for her hip. I was taking over the appointment wait. I was hoping by the time I got there they would have completed the visit and she would be ready to go home. It was not going to work out that way. Lauren left. Mom and I waited some more. There were at least five other people in the waiting room. Her appointment was at 2:15 and we got sent to the exam room at 4:30. Then we waited some more. I am pretty sure mom had no idea where we were or what we were waiting for. Finally, long after dinner had been served at her facility, Dr. Chau came in to see us. He said there was some arthritis in the hip but it looked pretty good. Then he started moving her leg around. From the horrified expression on her face, it was obvious it hurt, a lot! He showed me how swollen her knee was (we had just been focused on the hip). He decided to give her an injection in the knee. Wow, I have had my shoulder injected numerous times but I did not see the needle slide two inches into through my arm. Don’t ever watch if you need this done-EVER! WOW! It was now moving toward 6:00 and he wanted us to stay and see how she did with the shot. She seemed to be moving better but hadn’t walked in ten days so her balance was all off. I knew I would need to get her dinner. There are not a lot of choices and I just wanted to go home. I suggested we get McDonalds and go back to her room and eat. First she asked, “What is McDonalds?” then she asked, “can we get a drink here” and she did not mean diet coke. She probably needed a drink after that shot. We got her back to the facility, ate our McDonalds (she loved the chocolate shake) and I got her settled in for bed. Saturday we took Mimi, the pony, to Sarah’s for a month of training. I am just too busy with work and my mom to really get this pony started. I know Sarah will get her started right. It was ironic though, everything that Feather did poorly (load, fly spray, tie), Mimi did well. And everything Mimi did poorly (lunge, be ridden, be sweet) Feather did well. The road trip with trailer took us a good four hours. Lauren and I rode Feather and Mickey in the afternoon. We are getting real close to the “A” show this weekend so Lauren wanted to ride Mickey. It was real windy and Feather kept spooking at everything. I was feeling pretty old by the time I headed out to my visit to mom. I had received the news that my mom’s niece, Geneva had died. I knew she was always close to Geneva and was worrying about how she would take the news. When I got to the facility, Mom was in her wheelchair with her purse and a big blanket next to her. She was wide-eyed and nervous. She had heard that the center needed to be evacuated and that she needed to have something warm because it was going to be so cold. First, it was over 90 degrees, second, we were not going anywhere. I have rarely seen her as agitated as she was that day. I felt so bad for her. She was so confused and upset. When I tried to tell her about Geneva-it went right past her. I finally got her to the dining room and handed her off to the aides there. Walking out, two ladies stopped me and asked me if I had heard that the Catholic parishioners were coming to attack them and would hurt them. Apparently, everyone was drinking the same paranoid Kool-aid. One lady even asked me to examine her little dog as the parishioner had already gotten him (not really). I was exhausted by Saturday night. Sunday saw us watching a lot of the USEF network waiting for Caitlyn to ride. We did get out to meet Ally, Jordyn and Kendyll at a cafe in Needville for lunch. Lauren and I picked up mom and she was like a new person. She enjoyed the drive and great food. Her favorite was the homemade peach cobbler with ice cream. We talked about Geneva and she told me how much she had loved her and enjoyed being with her over the years. She has lots of other nieces and nephews who are still alive, but Geneva was more the age of her sisters and they all used to run together when she was in Oklahoma. After we got home, we watched some more rounds in Harrisburg (including Caitie’s) and then Lauren went off to her boyfriend’s for the evening. I was looking forward to the undefeated Texans beating Green Bay. Well, I gave up on that after the first quarter. I killed my favorite kitten this morning. It was up in my car and dropped out of the engine as I drove off in the dark. I u-turned to go back but she was lying helpless on the road-I had run over her. I took her back to the house and settled her in blankets. Lauren told me she was dead by 7:00 am when she checked on her. 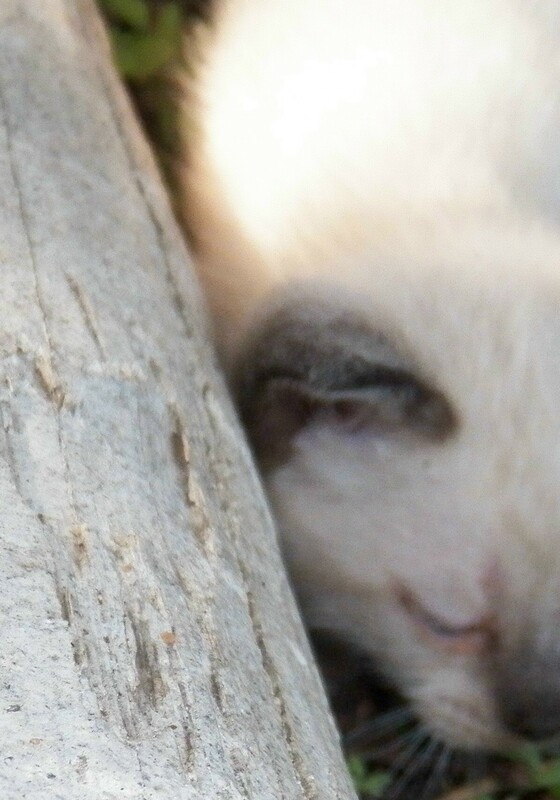 I had really loved this little one-I will miss her. You all will remember my story of Lauren’s friend Caitlyn who was working hard to make the national finals. This weekend she went to Harrisburg, Penn. as a qualified finalist in the Pessoa Medal Finals. Pennsylvania is a long way from Texas. Her horse Ky and trainer, Trapp, traveled long days and nights. Ky was stalled in many unfamiliar places. Ky and Caitlyn met up on Friday to continue living the dream of riding the national finals. 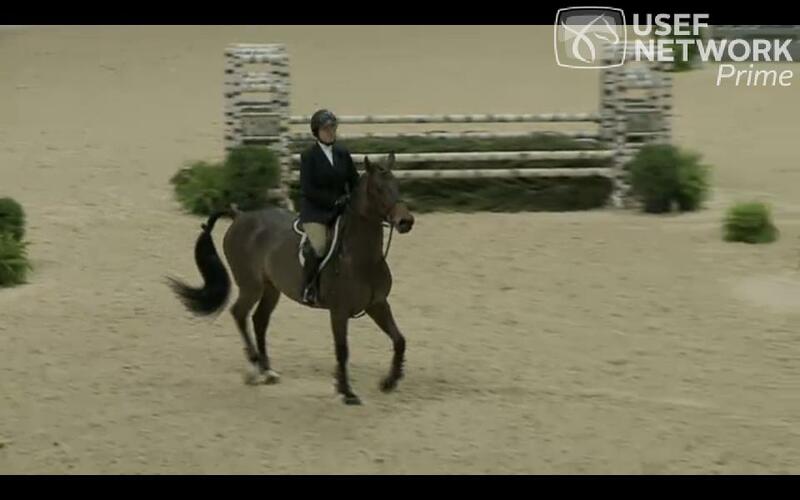 We watched as a live feed from USEF brought us the ‘warm-up’ round yesterday. Caitlyn was one of over 260 junior riders looking for a spot in the top-eight. We watched on our little computer in Wharton, Texas as Caitlyn entered the big arena in Harrisburg. Before her had gone some of the top young riders in country, Lillie Keenan, Jacob Pope, Tori Colvin and Shawn Casady. The camera caught her face clearly as she rode into the ring, calm but determined. Her warm-up round was beautiful. She did not place in the top ten riders of her section but certainly rode well. This morning, once today’s course was posted, the 250 plus riders and their trainers swarmed the arena like a million ants, walking the course, determining strategy and seeing the jumps up close. There is no warm-up ride to this final event. The horse goes in the arena and is expected to jump what is there, sight unseen. Caitlyn was deep in the list of riders. It made for long hours, waiting and watching as some of the country’s best went before her. Finally it was time for Caitlyn and Ky to enter the tunnel to the arena. I was scared to death just watching. Caitlyn had poise and calm far greater than her years of experience. It was not that long ago that Caitlyn just started these USEF shows and just had this year of hitting the nationals. 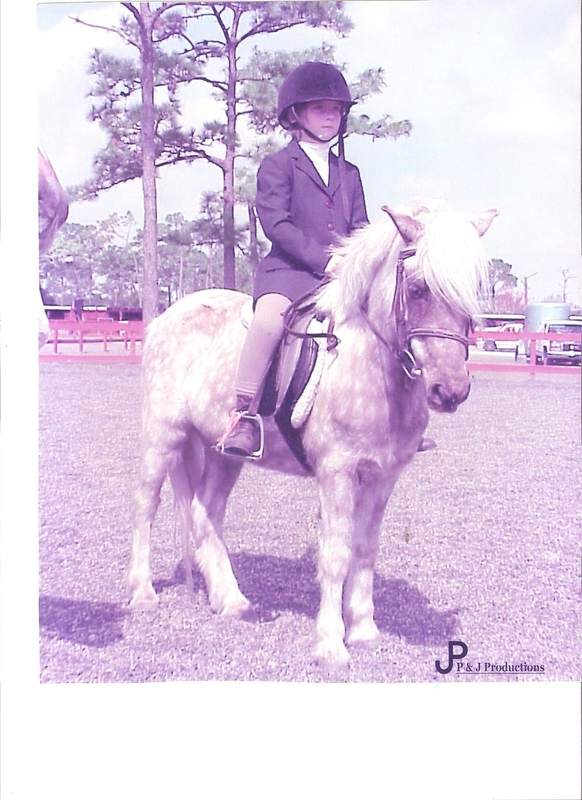 Some of these kids started in national pony finals as six-year olds. Caitlyn and Ky negotiated the course well. Former judges and top trainers felt she had a great ride but it would not be enough to make the cut for the finals. Which is too bad on many accounts. Not just that, wow, it would have been great to see her make the work-off (the ultimate challenge of the final), but because Caitlyn and Ky do their best work when given the most difficult course. And tonight’s work-off was just that, a demanding course that asked a lot of the horse and rider. But nothing Caitlyn and Ky had not practiced a million times in the last few years. They would have been superb! Caitlyn (and Ky) have everything to be proud of tonight as they head to Baltimore before tomorrow’s long trip home. A nation of horse crazy girls (and so many of her peers right here in Houston) watched a few years ago when Animal Planet did a reality show about how difficult it was to make it on the road to the national finals. We all watched it. But only Caitlyn went on and actually did it. She did all work, rode all the shows, practiced all the moves and built up the points to make it to the top shows in the United States. So I say to you, Caitlyn-You are amazing! We back here at home could not be more proud of you tonight! Amber at the top, Ally ready to hit and Lauren-my girls at the ball field. I have been a mother for over 30 years. With three daughters spread out in age over 12 years, I have seen them pursue some of the same interests and some unique. My oldest daughter Amber, well, what can I say? I was younger, more willing to keep up with crazy practice schedules and her dad was a good athlete in his own right. He was willing to coach her teams and did a great job of seeing Amber was exposed to multiple sports while encouraging her to practice and play hard. My dad had been a great athlete and we hoped Amber had inherited some of his skills. Amber played (and her dad coached her) on an all-boys soccer team until she was 12. Likewise, she played boy’s Little League until about the same age before moving to girl’s fast-pitch softball. 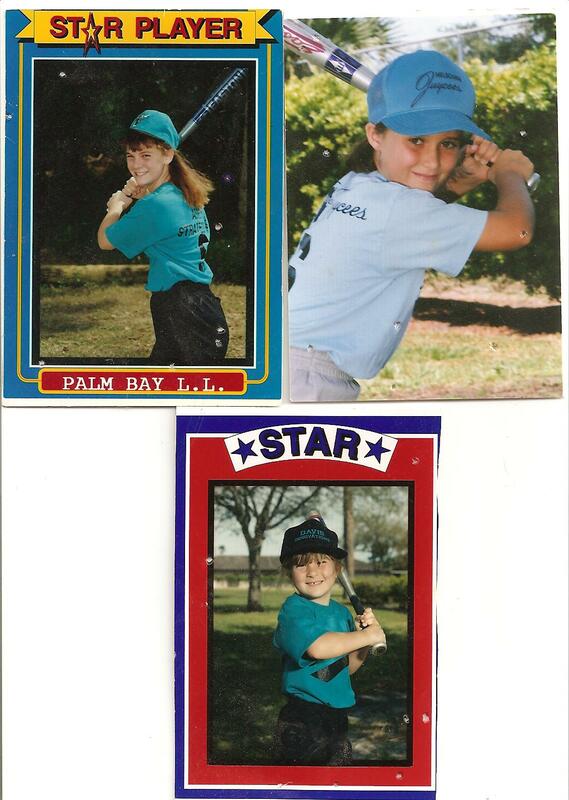 Amber ended up playing Junior Olympic Fast Pitch softball. We were in Florida at the time and she got to play a lot of international ball. At one time I believe they were ranked 13th in the world. Ally came along when we were deep in fast pitch fever. When her dad found out she was a lefty-he was thrilled. Nothing like a good left-handed pitcher. Ally played some ball and soccer but really rated running track. She won several City and County awards. One of my favorite memories was of her and I running a 5K across the Melbourne Causeway running toward the Atlantic Ocean when she was only ten-years old. Ally got into the horseback riding about that time as well. She showed 4H and local shows with her friends from Wickham Park. Many of whom, are still dear friends all these years later. In Texas, Ally did competitive cheerleading on a traveling team. I didn’t like it as much as horseback riding competitions but applauded how hard the team worked and how tough the competition was in competitive cheer. Lauren never really got to do much of the organized sports like softball or soccer. Divorce was disrupting a lot of things then and Lauren got swept along in riding horses. She had her first horse at age six in Florida and has been riding ever since. Ball parks are a great place to raise small children-Lauren pretty much grew up at the Melbourne and Palm Bay ball fields. While Hilary Clinton said it takes a village to raise a child, in her case it took a ball team and their families. Someone was always on hand to help out. With that said, in those Florida years, the team was our family. We spent Thanksgivings and other holidays with teammember families. To this day, the Bergstressers are close friends, attending Amber and Ally’s weddings. The cheerleading taught me how to style and french braid hair, skills I still use today (okay, so maybe I am braiding the horse’s tail, but still). I learned a lot about tumbling and choreography and the hours spent making something look simple that was quite complex. I learned a lot of new things when Ally started 4H with the horses and even more when Lauren went the English route a few years later. I continue to learn more every day about this difficult and demanding sport. Our horse show family here has expanded over the years. My dearest friends here in Houston are my horse show friends. The biggest thing I learned from my daughter’s sport activities is that all my children are tougher, stronger and more determined than I ever could have been. Each one of them has taught me the meaning of courage and perseverance. I am so proud of each of them. I can’t wait to see what sport roads my grandchildren go down. I will be cheering them along. Count on it. Families are built day by day, year by year with actions, words and inevitably with memories. In the beginning, as babies then as children, teens and young adults in many ways we are formed and molded by our home lives. Our parents, friends and environment all have an impact on us. No one has a perfect life and many come from horrible situations and manage to overcome them. We all know stories of people who have risen from nothing to be successful or brilliant. While I understand I have been very fortunate, in the home in which I was raised, to the opportunities for education, and the support I always received, whether I deserved it or not, I have battled many issues in my life. This month marks 14 years since I separated from my now ex-husband. We are both better off without the other. My children perhaps would have been better off in a two-parent home but I could not give that to them. As a single mother, I have raised three girls, now 30, 24 and 19 years of age. I don’t know who had it the worst, the oldest one who had some great memories of two supportive parents, the middle child who had some solid years as a part of a family or my youngest who has little memory of ever having a ‘real’ family. Is it better to have known a family and lose it or never to have known it at all? I know there were/are disadvantages to the lives of all my children. Life is a funny thing. While the years are moving along, we accept the status quo and complain about the weather, our job or politics. Retrospectively, it is easy to compartmentalize certain periods of our lives, like when the kids were little, or when we lived in this house or that city. Please forgive my ramblings. I continue to try to make sense of the Alzheimer world my mother lives in now. I have been forced into introspection about what is family, who supports whom, what are the roles, how do we manage when the roles change. In an instant, with an unintended action, bad memories can flood us. We are returned to a time when we were all different people. It is so easy to allow fighting to hurt one of our family members senselessly. It is hard to regain the ground we took years to level. A place where we all are safe and secure in the love of one another. 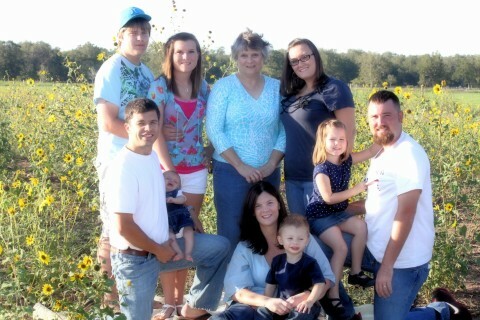 Families are like that, you know, built of feathers and molded without cement. They can blown apart by strong north wind. But I hope each time the wind settles, the family will come back again, stronger. The rain will stop and hopefully what is left is shiny and new and not too badly eroded away. I hope my family continues to build with our new roles and love to strengthen our ties.